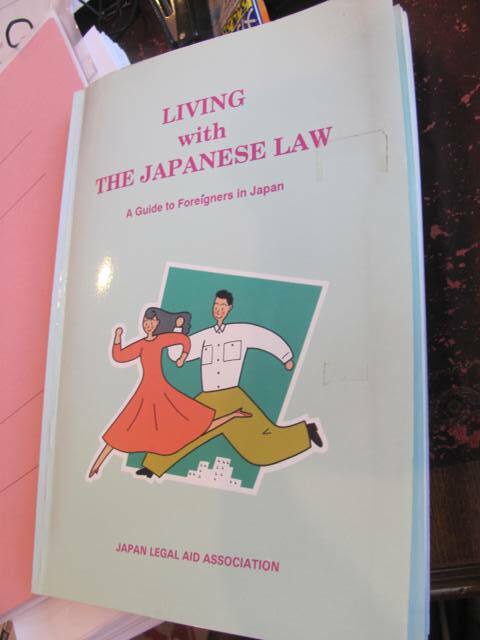 This book is authored by Japan Legal Aid Association.JLAA was reorganised into Hou Telasu.But legally,JLAA was dissolved. This book seems to be very helpful to foreigners living in Japan.But already sold out. JFBA or other body should solve copyright issues and publish this book.